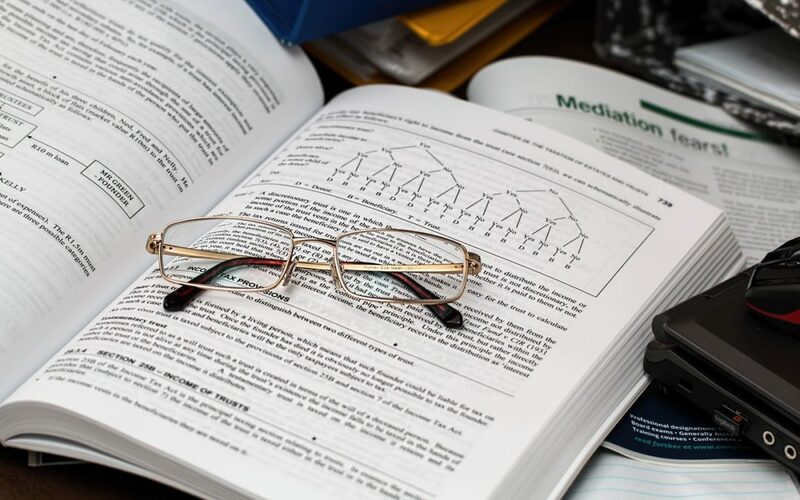 Some lawyers and several do-it-yourself books are misrepresenting Living Trusts as the perfect solution to “AVOID PROBATE.” Revocable Living Trusts are a remarkably useful and valuable tool in the hands of a qualified professional. Trusts of the faddish, mass-marketed variety are something else again. Kits or documents for setting up do-it-yourself trusts are being sold on TV, through seminars and even door to door. Prices range from less than $1,000.00 to $3,000.00 or more. A warning shot has been fired across our bow to alert us that there is a huge number of folks out there who have prepared their own estate planning documents with little or no understanding of the dreadful consequences of preparing legal documents without the assistance of a QUALIFIED lawyer. There are also a huge number of folks who now have a living trust who didn’t need it in the first place because a careful analysis by a qualified counselor would have revealed a much less complex and less costly plan. Many (40%) will also discover to their dismay that even with the Living Trust a probate will be required to pass their property from one generation to the other because a large percentage never get around to re-titling their assets. [RECOMMENDATION] Living Trusts aren’t just gimmicks or will substitutes. They’re extraordinarily flexible mechanisms for the now-and-future management of personal wealth. If you decide a trust is worth doing, a Qualified Professional will help you do it right. [STATEMENT OF PHILOSOPHY] Although many of the comments in this memo could be construed to indicate that I promote Probate Proceedings, nothing could be further from the truth. Any Estate Planner worth his salt will take steps to save his client money, time and expense. That may include avoiding a probate, deeding property, or using all the tools available. If your Estate Planner won’t take those steps on your behalf, including saving you attorney fees as part of the plan, then you don’t have the right Lawyer. a) Cost: I found some assumptions in a Living Trust do-it-yourself book that projected costs of probate from 10%-70%! [TRUST] Many of the costs detailed in the projection were not unique to probate, i.e. estate tax, income tax, etc. In fact, in most jurisdictions (Oklahoma for instance) the fee for the Personal Representative (who is not a lawyer) is 2.5%. For most practicing attorneys, Probate is simply hourly work which is subject to supervision by the court. [COMPARISON] I have found numerous cases in which a consumer was sold the need for a Living Trust, charged a disproportionate fee, and later discovered that they paid 10 times what would have been required, had no trust been executed. [EXAMPLE] The typical couple has a home in joint tenancy, a couple of cars, an IRA, some insurance policies, a mortgage on the house and some type of pension plan. Normal consequences in the event of death of one of the couple indicate less than $250-500. If they are frightened into a Living Trust to “avoid the evil” and pay $1,500-5,000 for such a solution, or worse yet, go to the local book store and fill out a form without knowing the consequences, they can be seriously injured. b) Delays in distribution: Most marketers who are selling the trusts represent that “average probate process is ‘one to two years.’ The statement assumes that a trust can be distributed almost immediately without the supervision of the court. [TRUTH] Most delays in Probate are caused by tax audits, not probate delays. Since a Trust will be subjected to tax returns and audits, the time for distribution is essentially identical, except in these wonderful instances where the trust “works”, i.e. no taxes, no contest or problems. No Trustee should make distribution of the assets of the trust until the tax bill is paid, since he is personally liable for the tax if it’s unpaid. (Some do and find this out too late!) Delays in probates sometimes occur because of the necessity for publication of notice to the decedent’s creditors. Normal cut-offs for claims are 2-4 months. [COMPARISON] Experienced counsel sometimes plan an estate into probate because of the lack of assets versus liabilities. A probate court can effectively bar the ability of creditors to harass the heirs of the decedent for payment. By contrast, without the intervention of this court proceeding, the creditors can have up to six years to attempt to collect these debts from the assets of the Trust and the Trustee of a Revocable Living Trust. c) “You do not have to go to court to prove the validity of your intentions. [TRUTH] This is good news, and bad news. My experience is that this suggested benefit of the trust is also the greatest weakness. A trust may be executed in private, under circumstances where no omitted beneficiary can test the process. This invites duress, pressure, undue influence and outright fraud. It invites a procurement of execution of a document when the grantor’s lucidity on the date of the execution cannot be corroborated. 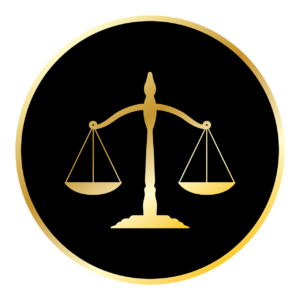 [COMPARISON] Wills are executed with very specific formality to make sure that the testator’;s intentions are protected, and his capacity is acknowledged in the presence of witnesses. As a result, few wills end in contest and fewer still are successfully attacked by an intentionally omitted beneficiary. [EXAMPLE] In my 44 years of practice, no properly drafted will has been overturned or held invalid. I have seen numerous successful attacks on the enforcement of trusts. [TRUTH] This is an area that can be the most treacherous. Most people who create these type of trusts intend that the Trustee will do what the creator would do if he were alive. My experience is not quite so rosy. In a surprising number of cases, the Trustee begins to operate totally independent of the Creator’s desires and ignores or even breaches his duty to the beneficiaries. Once in control, and particularly where the instrument the necessity to account to the beneficiaries, the Trustee feels free to ignore the requests of the beneficiaries and conduct the business of the trust as if it were his own. [COMPARISON] Human nature being what it is, and particularly where money is involved, Trustees without supervision frequently do not respond to the requests of those interested. The beneficiary is then required to file suit against the Trustee, using money he/she frequently does not yet have to test the judgment of the Trustee. By contrast, in a probate proceeding there is a Judge already in place to sanction a misbehaving Representative, which initially checks his propensity to misbehave, but secondarily provides a forum for the complaining beneficiary to seek court control without the enormous expense of seeking to obtain judgments against the Trustee for breach of fiduciary duty. [TRUTH] Revocable Living Trusts are tax neutral. Any assertion that suggests a trust is the only plan that saves the heirs federal estate taxes is a flat-out-lie. No competent estate planner will make that representation. [COMPARISON] Tax planning is a vital component of a good estate plan. Estate planners use all the tools available, including Living Trusts, where appropriate and where the client has made an intelligent choice about his/her specific needs. [EXAMPLE] Your professional will evaluate your family’s needs and review wills, deeds, trusts, gifts, joint tenancies, life estates and any other appropriate solution. Any estate planner who represents that a Revocable Living Trust is the only solution to your problems is too narrow for you. [TRUTH] This is one of the clear advantages of a Trust. Many of the great fortunes are maintained with secrecy as a primary concern. [COMPARISON] By contrast, wills are required in many states to be filed to be effective as an instrument passing property. When filed, it becomes a public record. [EXAMPLE] I have been instructed on at least two occasions to use the Living Trust for the sole reason that the Creator did not want his ‘nosy’ neighbor to know what the assets were. [TRUTH] Again, a clear advantage to the use of this tool. Guardianships are to be planned around whenever possible because of their burdensome method of operation and restrictive rules for investment. A properly planned trust, with a successful designation for the successor Trustee can provide you with management of your affairs without the intervention of a Guardian. All of the comments about a renegade Trustee apply, however. Careful selection is an absolute necessity. [TRUTH] This is one of the principal criteria I use to evaluate this tool. It can save a probate in two or more states and therefore, be very cost effective. [TRUTH] A properly planned Trust may be inexpensive and easy to form. It is impossible for anyone without proper training to make that evaluation. Anyone who would trust their life’s work product to a self-help book, or to someone without proper training and credentials in inviting familial and financial disaster. If it works, it’s plain luck! [TRUTH] So is a will. Because few of us are willing to make unalterable decisions, most plans are revocable. However, occasionally, plans need irrevocable components. However, before considering an irrevocable estate plan such as gifts, deeds, or irrevocable Living Trust, extremely important warnings must be heeded. CONSULT A QUALIFIED ESTATE PROFESSIONAL! [TRUTH] Generally speaking, a trust is more expensive to form and less expensive at the time of death. By contrast, a will is less expensive to form and more expensive at the time of death. Money has value in the present and in the future. A qualified estate planner should be able to help you evaluate whether the cost to you now, out of your current assets for a plan is less expensive than the cost to your heirs out of their money in the future. It is only then that you can evaluate that statement. Obviously, the creation of a trust is much more intensive in the process of putting the paperwork together because you’re basically probating your own estate while you’re alive. 1) To eliminate, if possible Uncle Sam as an heir of the state. 2) To reduce the share of your estate that goes to Uncle Sam. 3) To explore the alternate possibilities of accomplishing your desire. 4) To plan for contingencies, and to avoid undesirable results. 5) To provide certainty and security for your loved ones. 6) To select the person or persons best qualified to administer your children. 7) To select the person or persons best qualified to raise your children. HOW DO I SELECT A QUALIFIED ESTATE PLANNER? 1) Ask for a referral from friends, business associates, and social contacts. 2) Check organizational affiliations and special memberships in the field. 3) INTERVIEW THE LAWYER PERSONALLY! 4) Make sure the lawyer is up to the task that he/she has experience in not only preparing the documents, but in settling the matter after death. “What is your experience with client’s satisfaction with the Living Trust?